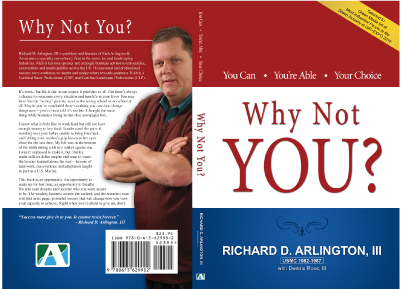 This all day seminar and workshop offered by Rich Arlington & Associates will educate attendees on the personal and business skills necessary to achieve professional success. This workshop is for those who wish to take their careers or businesses to the next level and/or start their own enterprise. Rich Arlington will discuss the principles of effective leadership, how to build successful teams, how to face challenges in business and how to self-assess the type of person you are in order to take full advantage of your talents and skills and those of others. Attendees will discover the tools necessary to overcome the biggest obstacles to their success. They will hear Rich’s true ‘rags to riches’ story and learn how to apply his landscape business experiences and life principles to their own life in order to become a leader in their field. This is no nonsense, hard knuckled workshop designed to deal with the realities of being a leader. Guest Speaker, Don Allen, Army Special Forces, Retired, who served 22 years in the military and possesses extensive experience as a Leadership and Ethics Instructor will present in the afternoon session along with Rich Arlington. Both speakers will guide attendees through case studies and practical techniques for achieving success and staying at the top of their game! Attendees can expect plenty of personal interaction throughout these sessions. Speaker Rich Arlington is a PLANET Trailblazer who is certified in both snow (through SIMA) and landscape (through PLANET). He is well known as a business mentor in both industries. 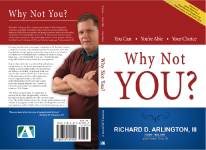 Rich recently authored the book, Why Not You? to help others recognize their own capacity for achievement. In 2012 his peers selected him as a Green Media “Most Influential People in the Green Industry which was announced at the GIE Conference. Arlington has extensive speaking experience and national conference attendees score him as one of the best public speaker in show surveys. Those in the green and snow industries (as well as anyone who is seeking to improve their career, start their own business or grow an existing one) will not only gain business and industry insights, but they will learn skills and techniques to apply in their own careers and incorporate into their own businesses to achieve success. July 12, 2013 8:30 a.m. to 4:00 p.m.
July 19, 2013, 8:00 a.m. to 4:00 p.m.
September 12, 2013 9:00 – 5:00 p.m. The cost of the all day workshop is $149 and includes lunch. Special pricing given to active duty military and veterans call (814) 218-9103 for details on special pricing.